God’s being given some PR advice today whether he wants it or not. And I guarantee you he’s getting an earful. A few thoughts about my friend and mentor, Bob Zigman, who passed away on Wednesday at the age of 98. Bob was a friend, mentor, civic leader, counselor, historian, World War II veteran, public relations pioneer, crises manager, relationship builder, and much, much more. Milwaukee flowed through his veins; it was part of his DNA. And the city is better for it. Bob loved everything about this city, and explored every nook and cranny. And his love for it was contagious. On Saturday mornings Bob would sometimes take me for a walk along his old paper route on the city’s Gold Coast. We would stop at every mansion and he would tell me the history of the owner back then and what business they were in. One of the customers on his route was Lucius Nieman. He loved the fact that he had met the founder of The Milwaukee Journal. 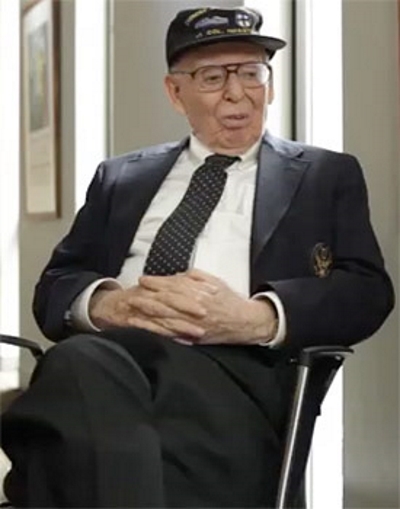 Bob was one of the last living members of the great generation who came back from World War II and quietly built Milwaukee into an industrial and financial powerhouse. Wanting to stay above the political fray and below the radar, they did it quietly behind closed doors for the greater good of their community. Because that’s just what they did back then. No applause, no fanfare, just roll up your sleeves and build something. That’s how Bob approached the founding of the Milwaukee Symphony Orchestra and the United Performing Arts Fund; two of his greatest legacies. Bob and his contemporaries knew they were legacy builders, and as the city’s titans of industry, finance and media, the responsibility to make the entire community better rested upon their shoulders. Business leaders nowadays don’t have that commitment. Bob had a great curiosity about everything. He loved to hear people’s stories, how they worked, where they came from, what their parents did. Whether it was the CEO of a Fortune 100 Company, a cop on the beat, or the waitress at Toy’s restaurant on 3rd Street, Bob quickly became your friend. He could sit down with a CEO, as a peer, and counsel them about business in general. He would coach CEO’s about building a board of directors, communicating with investors, giving back to the community, and why good PR was important to their bottom-line. Bob was a counselor more than a PR guy. But on the PR side he was a pioneer and innovator when it came to investor relations. Back in the day when Milwaukee had two newspapers, there were really only two PR firms. Barkin Herman and Zigman Joseph. And like the newspapers the competition was heated and personal. The competition was also reflected in their client list. Zigman represented Pabst. Barkin had Schlitz. Zigman had First Bank. Barkin had First Wisconsin. During the famous “Sewer Wars’’ Barkin represented the wet industries and Zigman had the dry industries. I’m sure Ben Barkin and Bob Zigman are preparing their sales pitches today. Heaven just became a little more competitive. Bob decided there would be no public service. Modest to the end, he will be fondly remembered by many. Great tribute Craig! The Zigman legacy is amazing, I think I met him once about 30 years ago. What a life. Great story, I never met Mr. Zigman but I feel like I know him now.